27 Mar What are the Best SEO Resources for Startup? In the present online world, it is very tough for the startups to compete with the established companies. They have to focus on all the things, including the product launches, funding and branding. However, the most intricate part of their marketing is their SEO. Without much knowledge on SEO, it is not easy to them to run the campaign. 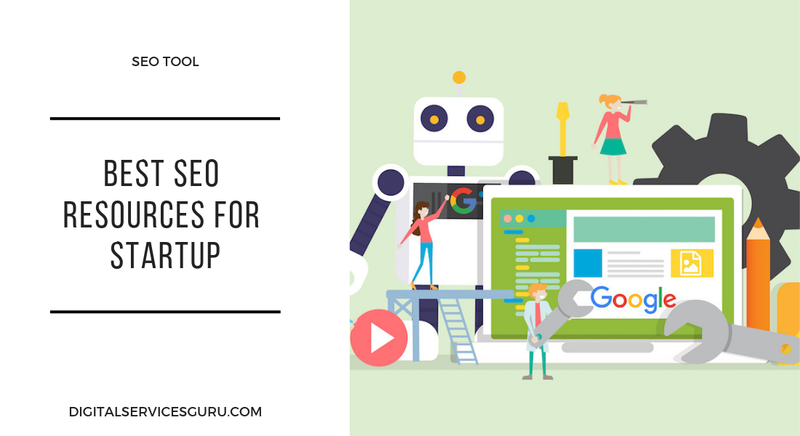 We have made a list of some SEO resources that will increase your skill to optimize your website. The best source to learn various SEO techniques is the blogs. Several SEO professionals have created blogs to share their knowledge on SEO techniques. This is one of the blogs, where you can learn various SEO tactics and build traffic for your site. The website has categorized the blogs, based on different topics. It has covered all the topics, like content marketing, mobile SEO, international SEO, local SEO, on-site SEO, SMM, influencer marketing and link building. Neil Patel, a very popular SEO specialist, runs this blogging site. You can get free guides on various topics. You may also submit your email for subscription and get their blogs in your email. To get more visitors to your site, you rely on the service from Neil Patel. Backlinko is another blog, where you can find several articles on the SEO marketing. Backlinko is not just about backlinks but also about all the topics on online marketing. When you think of checking the SEO status of your site, you may use this tool. Use various parameters to get the result. The tool finds out the weak parts of your site and helps you in improving the platform. It focuses on your web content and images for on-page SEO. To make sure that your website has the appropriate technical details, you may choose this website. You will have tips for modifying your site. This tool also alarms you while your site has violated Google’s policies. You can know how the search engine is crawling your site. You may review the Meta description and title tags by using this tool. This is useful for all the startups and established companies. Google has offered this free tool to manage several sites. You must install a tailored script of analytics for starting the tracking process. You can find out the location of the visitors, conversion rates and various other details. You may check out how much effective your campaign is. Thus, you can rely on any of the above resources for SEO campaign of your new site. These resources make your task very easy.